Seabreeze Beach Resort would like to welcome you to South Padre Island , Texas (SPI), Texas’ best-kept secret in beach front condo rental. 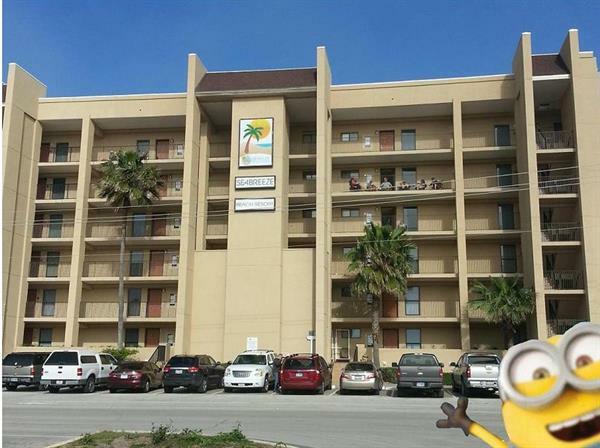 Located at the tip of Texas’ finest, most picturesque beach, South Padre Island, where Seabreeze Beach Front Condominiums redefines the concept of a carefree Island lifestyle that can accommodate, family, friends, romantic weekend getaways and our winter Texan guests. Located on South Padre Island’s, Tx. pristine white beaches, Seabreeze Beach Resort is a small group of condominiums that offer a low key, laid back vacation opportunity. With only 48 units in two buildings, there is a warm and cozy feeling that you don’t get in large complexes with hundreds of units. All condos provide a spacious balcony with a direct view of the beach. Whether it is a getaway for two or a family vacation, maximize your beachfront condo rental vacation by staying at Seabreeze Beach Resort condos. Wake up each morning to the sound of the waves. Make your coffee and wander out to the balcony of your condominium and watch the magnificent sunrise to start your day. We are within walking distance to restaurants, bars, and shopping to fill your day.